Lets start off with the ASG Dan Wesson 715, mine happens to be the Stainless version in 4.5mm Steel BB. What an upgrade over the original Dan Wesson Revolver and I thought those where already really good! 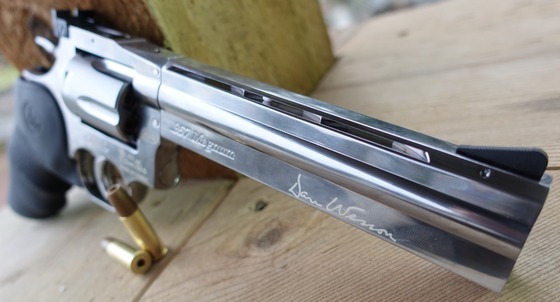 The all new ASG Dan Wesson 715 is super solid coming in close to three pounds with its mostly solid metal construction. 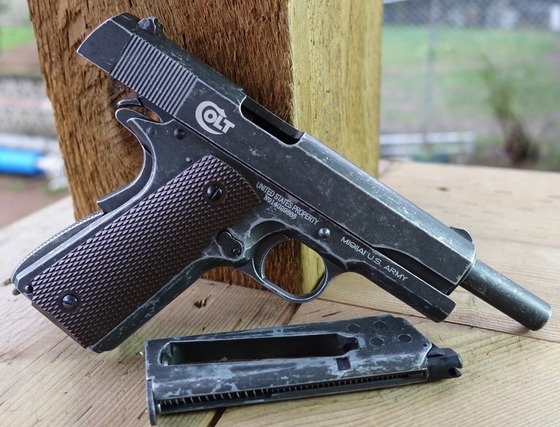 Next up is the Umarex Combat Vet 1911 which is essentially a KWC 1911 distributed and Colt licensed via Umarex. The Umarex Combat Vet 1911 is a limited edition product made to look weathered and used and it does look amazing! 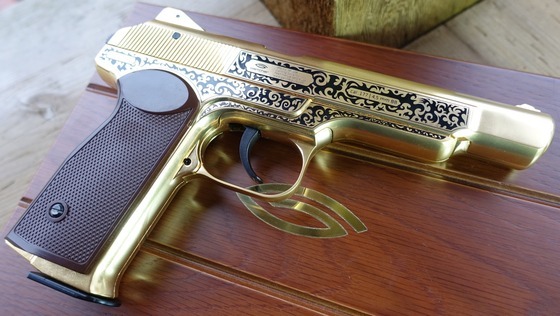 Lastly the Gletcher Stechkin in a Gold finish shipped in a real wood box with velvet lining. 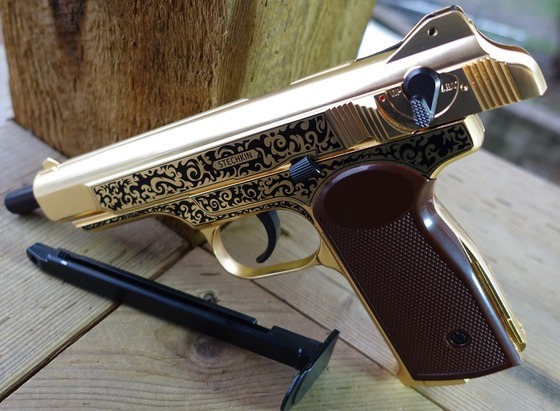 This is the same Airgun as the Gletcher APS but blinged out a bit, the Gold finish is lined with black etching to really make this gun look unique.